Microsoft has announced that Windows Phone 7 handsets will be available on the five biggest mobile carriers in the UK. 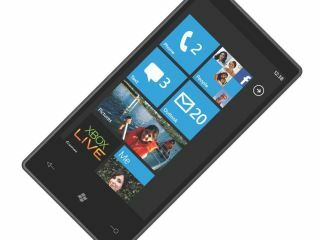 In a release, Microsoft has revealed that Windows Phone 7 devices will come to Orange, O2, Vodafone, T-Mobile and Three customers, although there is no mention of Tesco and Virgin Media, which run on those networks. The announcement is all part of Microsoft's latest push into the mobile phone market, with Alex Reeve, Director, Mobile Business Group, Microsoft UK, explaining: "Following our announcement at Mobile World Congress that Orange will be our lead partner, it is wonderful now to have all of the UK's network operators supporting the launch of Windows Phone 7. "This means we can provide network choice and also a range of phones across networks for customers to choose from, all with the power of Windows Phone 7." Microsoft will be hoping that its mobile OS has enough - like Xbox and Zune integration - to steer consumers away from the slickness of the iPhone and Android. Microsoft has also revealed that The Carphone Warehouse and Phones 4u will be stocking Windows Phone 7 devices as soon as the OS' October UK release date appears.